They called it Al Andalus, and it began as it was to continue for 300 years, with tolerance for the other ‘people of the book’ as they called the Christians and Jews they found there. Al-Rahman’s family, the ruling Umayyads, were slaughtered by their rivals, the Abassids in Damascus in 750. He and his brother Yahiya, his son Suleyman and his Greek servant, Bedr, escaped and found refuge in a village on the banks of the Euphrates on the edge of a deep forest. 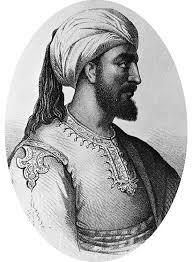 There, employing a combination of guile and diplomacy, he eventually became Abd al-Rahman I, the Emir of Cordoba, the founder of the Umayyad dynasty which, over the next 300 years, would transform the Caliphate of Cordoba into a world centre of scientific, philosophical and agricultural innovation and attainment, a beacon for musicians, poets and writers in the Muslim and Jewish worlds. Cordoba was, at that time, the shaft of light cutting through what in the West were called the Dark Ages. All this was possible because these desert Arabs, the Umayyads, in conquering the peoples of the Iberian peninsula, with the enormous help of the Berbers of North Africa,, had been confronted with a universe of languages, cultures and peoples. New vegetable crops planted were artichokes, aubergines, celery, spinach, and carrots. Most important of all, hard durum wheat. Did the Arabs invent dried pasta, which can only be made with this hard wheat? One of the first mentions of dried pasta dates from the twelfth century and the Arab geographer Al-Idrisi, who wrote that it was being manufactured in Sicily – by Arabs. The usual diet for rulers and commoners alike in Christian Spain was based on the trilogy of meat, wheat, and wine. Arabs were accustomed to a more sensuous mix of fruit, vegetables, and legumes, a cuisine low in animal protein. But at banquets roast lamb was often served, stuffed with chopped meats fried in sesame oil, with crushed pistachios, pepper, ginger, cloves, mastic, coriander, cardamom and other spices, sprinkled with musk-infused rose water. It was not only their language that was more appealing. Life, generally and food specifically was more luxurious, more pleasurable. And Islamic Spain soon filled with luxuriant flower gardens, planted with ornamentals imported from the Orient: tulips from Turkey, narcissi, lilacs, yellow and white jasmine and roses from China arranged along walkways under canopies of orange trees and sweet-scented almonds and everywhere, the cooling sound and sight of running water. Cordoba became the urban garden centre of all Spain, if not the world, with an estimated fifty thousand private gardens gracing the villas of that city at the time it was recaptured by Christians in 1236. Living in Mallorca in the early 1970s, I met a man who claimed to have travelled through time and offered to teach me the technique. Not your usual nutter, Ben Wright was a poet who also lectured on the Nordic Saga Beowulf. He claimed that another resident of our village, the English poet Robert Graves, had also time travelled to write the I Claudius series of books. I declined his invitation because back then, there was then no other time I wanted to visit. 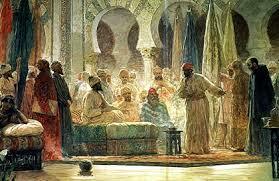 If offered that chance again today, I would happily travel back to that golden period of Moorish Spain. What a wonderful review of that extraordinary time and place!